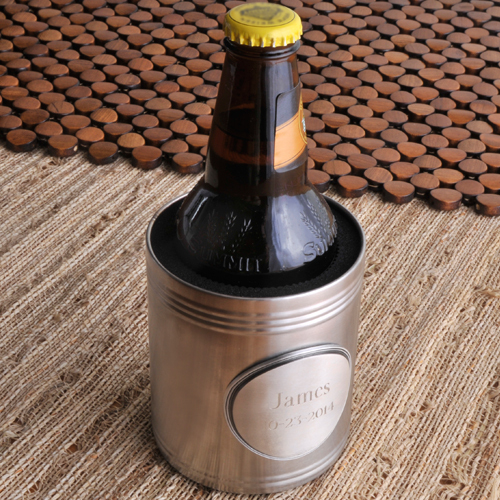 * Dress up your cold beverage of choice with a dashing brushed chrome-plated personal cooler. 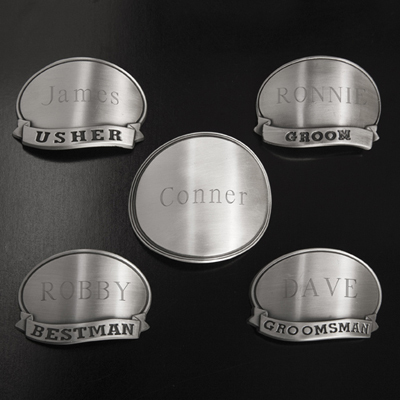 * Choose from our five pewter medallion options and personalize it with his name or catchy phrase such as "Hands Off Bucko". * Size: 3 5/8" x 3 3/8". 3.625" x 3.375" x 2"